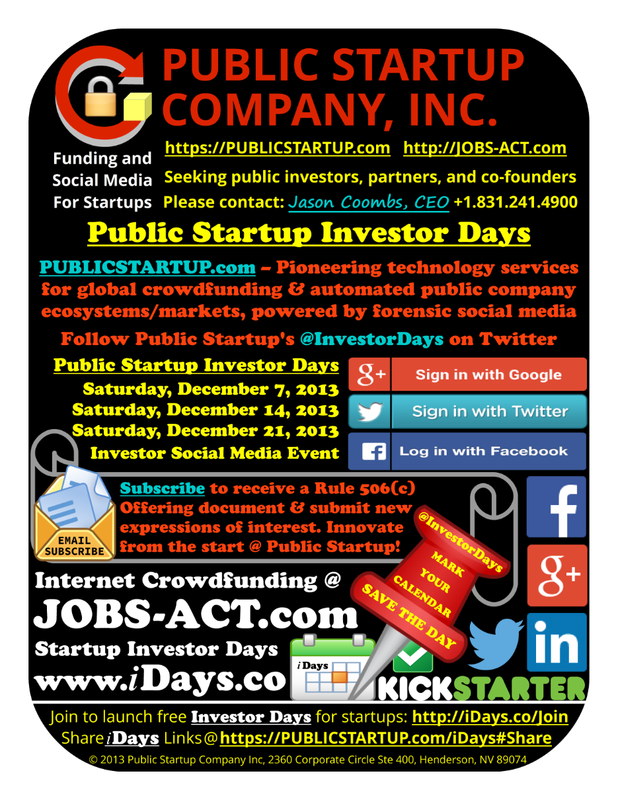 Sign in to Public Startup Investor Days December 2013 with your Facebook profile. Using your Facebook profile saves you time and protects your privacy online. We promise only to send you awesome stuff. We will never send you spam. You can revoke this authorization any time on our website or with Facebook.